Projectplace is the place to get things done together. Projectplace is an all-in-one work collaboration tool that brings your virtual teams together to plan and execute work. We have over 1,200,000 registered users working in more than 250,000 projects. 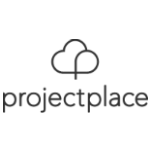 Productplace provides solutions in project collaboration, workload management, and reporting. Projectplace provides many beneficial features including: Gantt Charts, Kanban boards, document management, real-time communication personal to-do lists, and much more. Whether your team is down the hall or on the other side of the globe, Projectplace provides everything teams need to set direction, communicate, execute tasks, track progress, and ultimately achieve goals, no matter where they work.Projectplace helps you quickly understand what your project members are working on and how busy they are. Gain visibility of commitments across projects: who is working on what, the resource workload at any given point of time, and who might be available for additional work.Projectplace gives all stakeholders the overview they need to make smart decisions, for one or several projects. Visualization of Kanban-based task management, milestones in the Gantt chart, and key KPIs enables project managers, team members, and other stakeholders to get an instant overview of how projects are progressing in relation to the plan. Planview is a global leader in portfolio management and project collaboration. From small teams to large enterprises, leaders in every industry rely on the company’s cloud solutions to empower organizations to reach their goals and drive results by optimizing the capacity of their people and financial resources.